Put the cream and milk (totalling 1 pint) into a saucepan and heat through (do not boil!). Place the gelatine sheets in a bowl of cold water to soften. Take the cream off the heat and add the elderflower cordial and sugar. 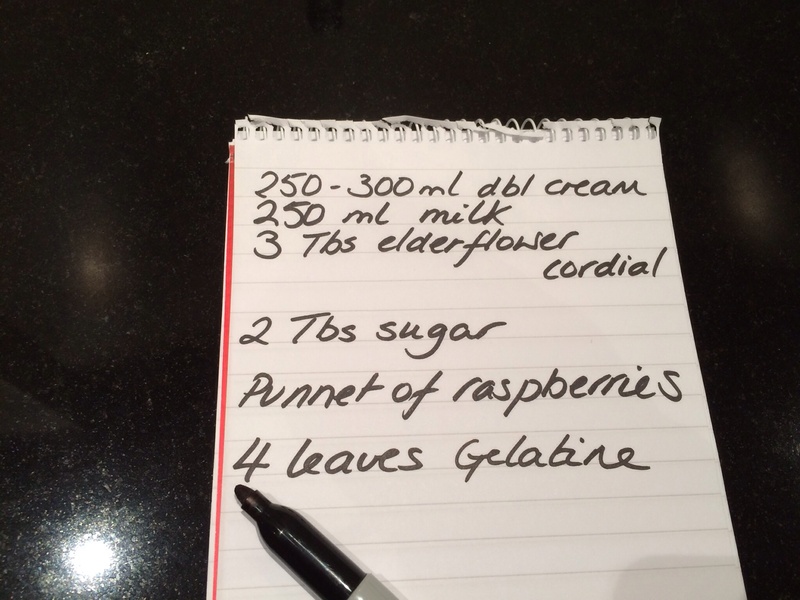 Squeeze the gelatine leaves and carefully add to the cream mixture, whisking gently til everything has mixed together. Pour into a jug and then into 4 ramekins or little bowls. Put into the fridge for a couple of hours to set. Rinse the raspberries. Add a tablespoon of sugar and very very gently heat in a pan. It will only take a couple of gentle minutes to do this. Leave to cool. Run a knife around the edge of the ramekins and turn upside down onto a plate (or serve straight from your bowl with a little of the raspberry salad on top). 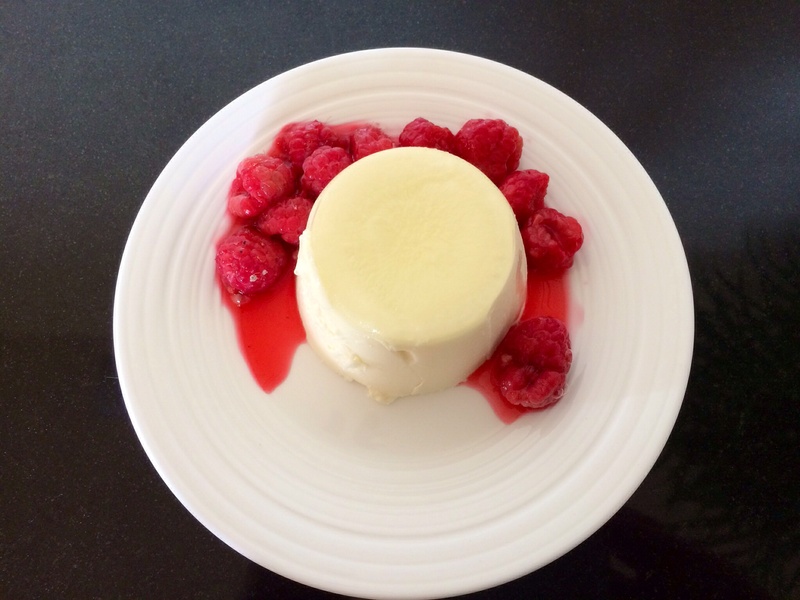 If you’ve upturned the pannacottas then serve on a plate with the raspberries. Simple and delicious! ← Nice and spicy lentils with Paneer cheese.